We always like Lanson, the place, the location, the service. Unfortunately our preferred room was not available 'x01', which really has the best and undisturbed view of the city. We got upgraded to a 2 bedroom suite, but 'x01' is much better, even though it is a 1 bedroom suite. Spacious Apartment, nice layout, good location, great swimming pool, quick housekeep services. Kuala Lumpur city view from 47th floor and the three bedroom apartment was well equipped with necessities. Really good location. The rooms were exceptionally big! The services from the staff were excellent. Friendly and well service oriented. Would like to complement the Bellhop(Concierge) Staff, Mr Khamis-if i got his name right. Good service by him. Clean room. Spacious. Nice well maintained room. Hotel look for a residence. Fluffy towel, great bed. Clean sofas. Clean toilet. Nice smell. Everything. Cleanliness. The ambiance. The hotel nice smell. The concept. Everything about the room is excellent. About 17min walk to Pavillion. Take grabs around! Certainly will come back eveything when im in KL! The property was very spacious and clean, staff were friendly and helpful (especially Aqi) and facilities were excellent. 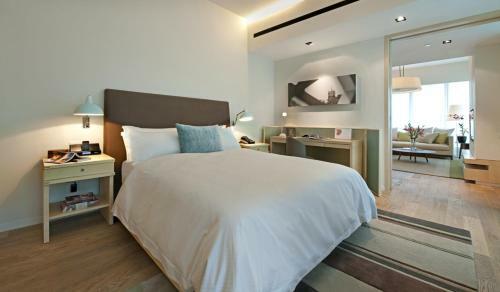 Lock in a great price for Lanson Place Bukit Ceylon Serviced Residences – rated 8.9 by recent guests! 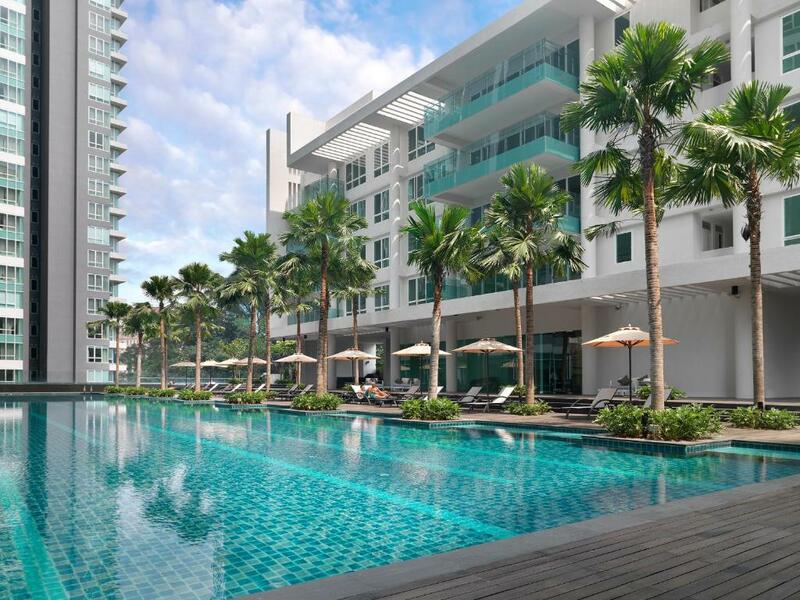 Lanson Place Bukit Ceylon Serviced Residences This rating is a reflection of how the property compares to the industry standard when it comes to price, facilities and services available. It's based on a self-evaluation by the property. Use this rating to help choose your stay! 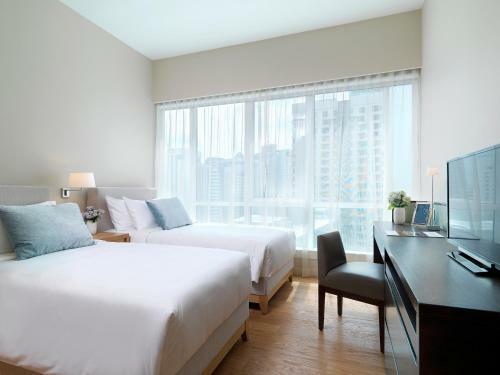 One of our top picks in Kuala Lumpur.Centrally located in Kuala Lumpur, Lanson Place Bukit Ceylon Serviced Residences offers fully furnished apartments with free WiFi throughout. It features a children's playground and an Olympic-size swimming pool. Free parking is provided for guests who drive. The spacious, air-conditioned apartments come with plush bedding and a flat-screen TV. 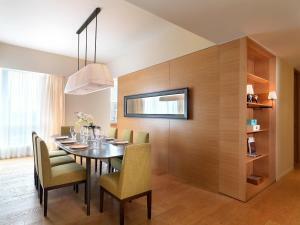 It is fitted with a modern living room and a well-equipped kitchen. 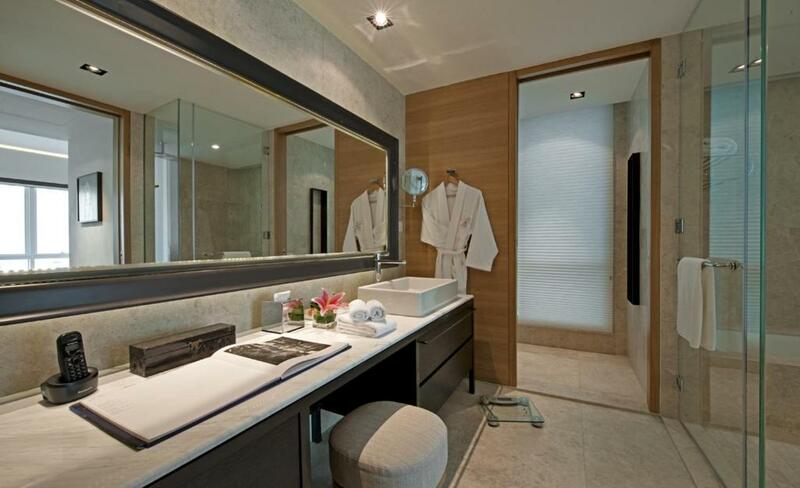 The private bathroom includes a hairdryer and bath amenities. Many international restaurants and specialty bars are located within a 7-minute walking distance. Adults can workout at the gym and kids can play in the playground. Laundry service and luggage storage can be requested at the 24-hour reception. Friendly staff are happy to assist you with local area information, while daily housekeeping is free. 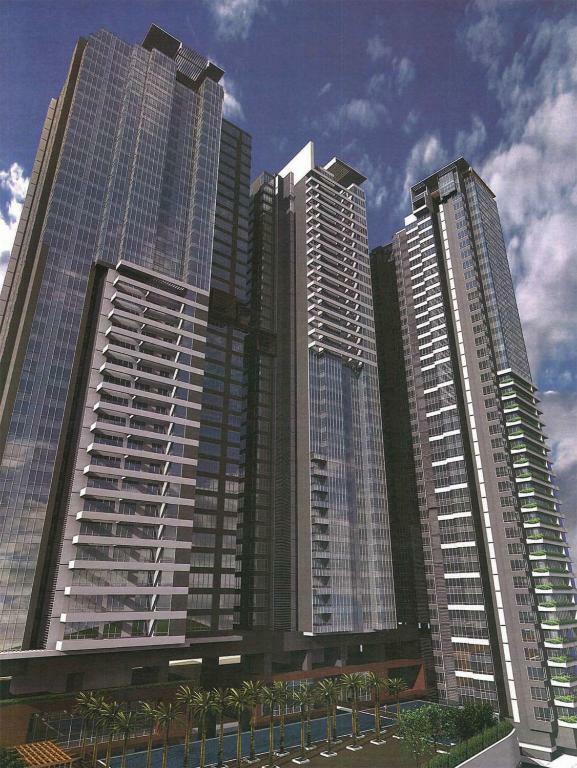 Lanson Place Bukit Ceylon Serviced Residences is 1.1 mi from KL Tower and 0.6 mi from shopping centers at Bukit Bintang. The nearest airport is Sultan Abdul Aziz Shah Airport, 16 mi from the property. When would you like to stay at Lanson Place Bukit Ceylon Serviced Residences? 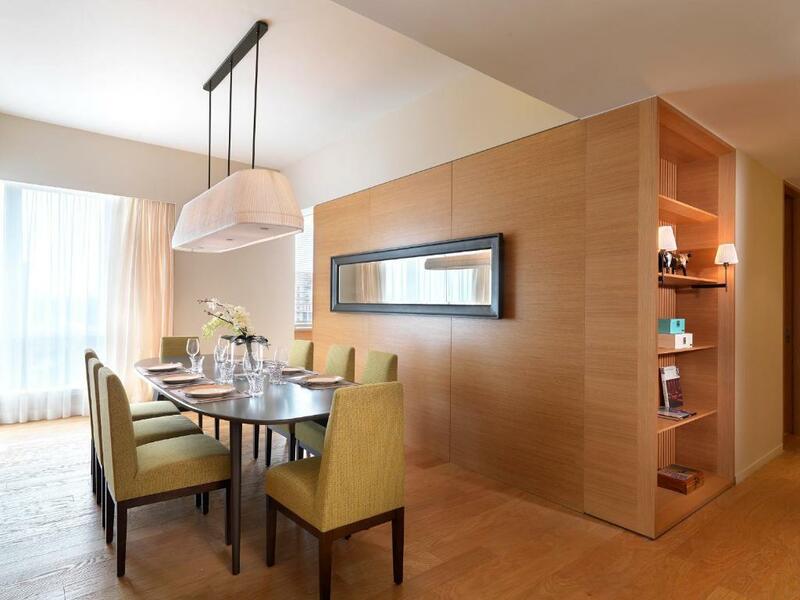 This 85 sqm apartment features contemporary design and air conditioning. It comes with a well-equipped kitchen and a living area. Guests enjoy city view from the room. The private bathroom includes free toiletries. This air-conditioned contemporary apartment features city view and a plush king bed. It comes with a well-equipped kitchen and a living area. The private bathroom includes free toiletries. 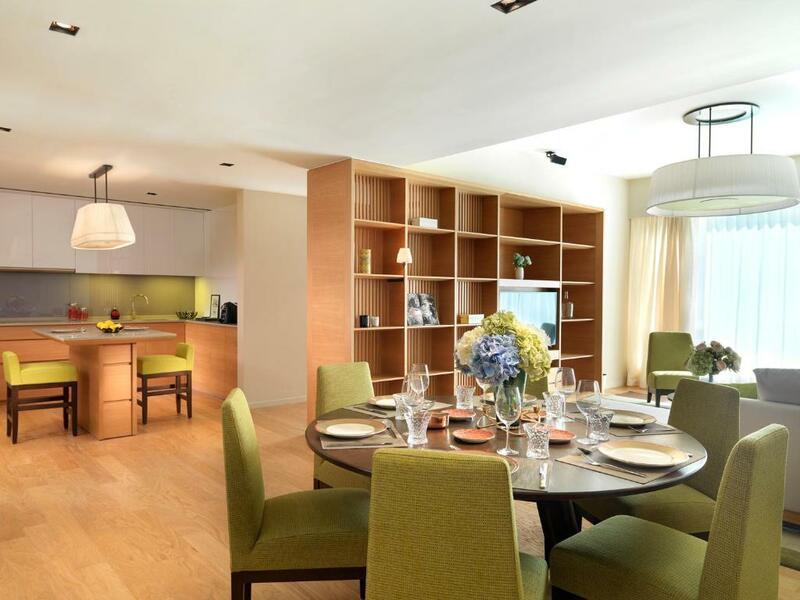 This spacious apartment has 2 bedrooms and features contemporary design. Fitted with plush beds, it includes a living room and a kitchen. Bath amenities are available in the private bathroom. Guests enjoy city view from the room. Offering more space, this spacious apartment features panoramic city view. Fitted with air conditioning, it includes separate dining and living areas. Bath amenities are available in the private bathroom. Set in the heart of Kuala Lumpur’s Golden Triangle, Lanson Place Bukit Ceylon Serviced Residences is your new dazzling address with 150 spacious one- to three-bedroom serviced apartments for your exquisite selection. 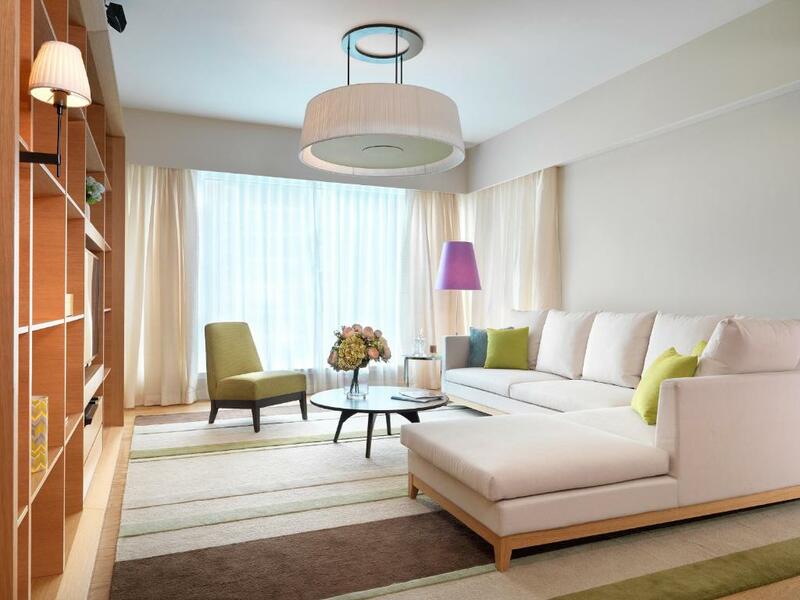 House Rules Lanson Place Bukit Ceylon Serviced Residences takes special requests – add in the next step! A MYR1000 damage deposit is required on arrival (around USD241.40). This deposit will be fully refunded at check-out, as long as there isn't any damage to the property. Lanson Place Bukit Ceylon Serviced Residences accepts these cards and reserves the right to temporarily hold an amount prior to arrival. Please note that breakfast for children 5 to 12 years old is charged separately. A damage deposit of MYR 1000 is required on arrival. That's about 241.40USD. This will be collected as a cash payment. You should be reimbursed on check-out. Your deposit will be refunded in full, in cash, subject to an inspection of the property. The local information varied depending on who you asked. Taxis to the airport, first person told us it would cost 150rm but after several hotel people, we were offered grab fixed price fare which was almost half the price originally quoted! I know it's still cheap but I don't like the attitude that they're Australians, we can tell them anything. The hotel was clean, with walking distance to most things but it is in a fairly touristy area. We couldn't hear water or people from neighboring rooms which was great and the views were excellent. Spacious 3 bedroom unit. Big dining table. Modern interior. Complete kitchen with washer dryer. Nice toilet with hand bidet. Good for short and longer stay. Will definitely come again. Will be a plus if there are wider spread for breakfast. floor boards around the pool are lifting and a bit of a risk, childrens indoor play centre while tidy is dirty and in need of a heavy duty clean and replacement of some items. This is a luxury apartment hotel in central Kuala Lumpur. The facilities are excellent though some are looking tired and a little worn the actual apartments themselves are well maintained and the location was also excellent. A short walk to a popular hawkers markets and shopping made this an excellent central location to navigate from. We used GRAB to get around and most trips only cost $7 to anywhere. We mainly just ate, lounged and relaxed. The view from our apartments of the city lights at night was a real highlight with the kids and to be able to pop out for a proper massage for $30 and decent hawkers meal for $10 made this a very affordable stay. After the poky hotels of Japan the kids literally danced when they came in and saw the space! The 2 bedroom apartment also has a study which with a toddler and a cot actually made this a 3 bedroom apartment for us which was also a bonus- the cot was also provided free of charge. The nice soft cushioned mattress top beds were also a welcome relief after the typically firm beds in japan. The staff were super friendly, helpful and accommodating and any issues were addressed quickly. The lift is pretty stuffy when crowded. The three bedroom suite was great! The WiFi played up a little but was resolved in the end.